Our experienced project management team, versatile field crew, and skilled subcontractors combine to offer you the best in class repaint & restoration services for your property. No job is too big or too small for McLeod’s to handle. If you are a property or association manager, please visit our HOA maintenance page for a sample list of the services we can provide to keep your property in top shape. Homeowners associations appreciate our highly skilled crews’ compliance with HOA rules and regulations. 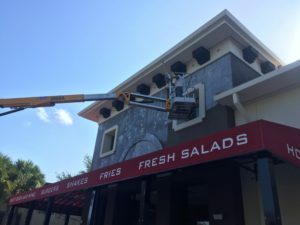 Our commercial painting experts are well versed in a multitude of industrial projects, both in new construction and repaint. We handle all types of staging and rigging, such as swing stages, aerial lifts, scaffolding and scissor lifts. 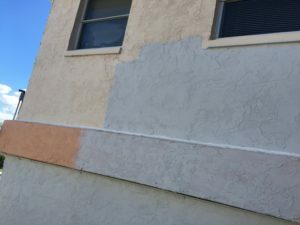 Commercial paint projects involve more than just paint, our pros are trained in various applications such as, Waterproof Coatings, Tex-Cote, Pressure Cleaning, Varnishing, Stucco repair Concrete Restoration, Electrostatic Painting, Metal Coatings, Sand Blasting, Waterproof Caulking, Seal Coating and Striping. Your property is in good hands with McLeod’s Construction, Paint & Restoration LLC, we’re dedicated to Doing it Right the First Time. McLeod's has trained professionals that will be able to take care of your every need. 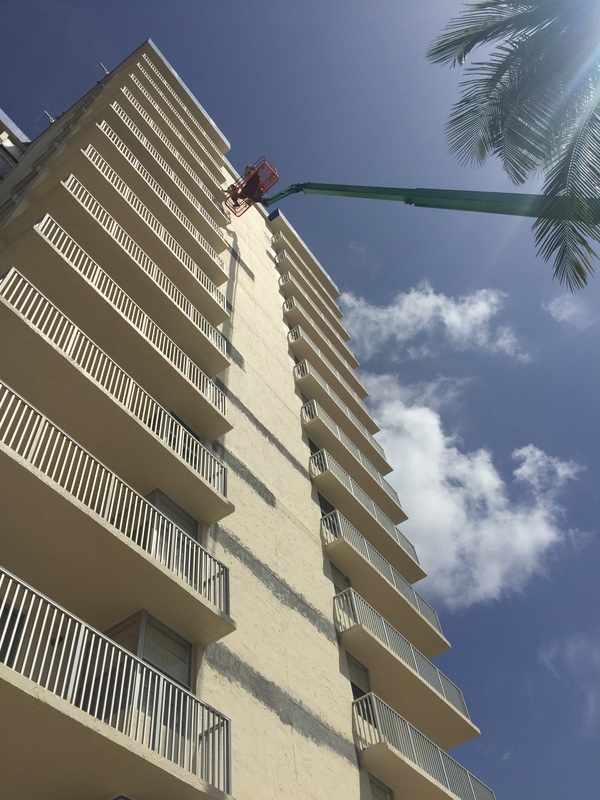 We have a successful track record of completing high rise painting projects all over South West Florida. 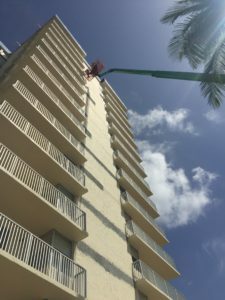 Employment of a variety of equipment is necessary to properly and safely complete high rise painting projects, and the painters at McLeod’s are experts in their use. We use suspended supports, scaffolding, lifts and rigging to work with the layouts and unique structures of any facility. We can handle any tall building restoration project. Our painting experts are well versed in the nuances and sensitivities of condo association needs. They take great pride in the job, while being courteous to the homeowners. 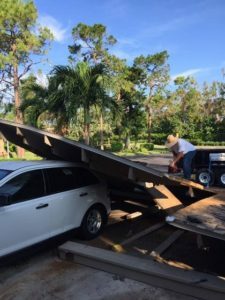 Extreme climates can cause extreme damage to concrete structures. 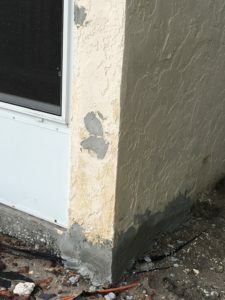 We can remediate spalling, repair cracks in faces and foundations, and restore concrete to safe and sound conditions. We take the time to do it right the first time. 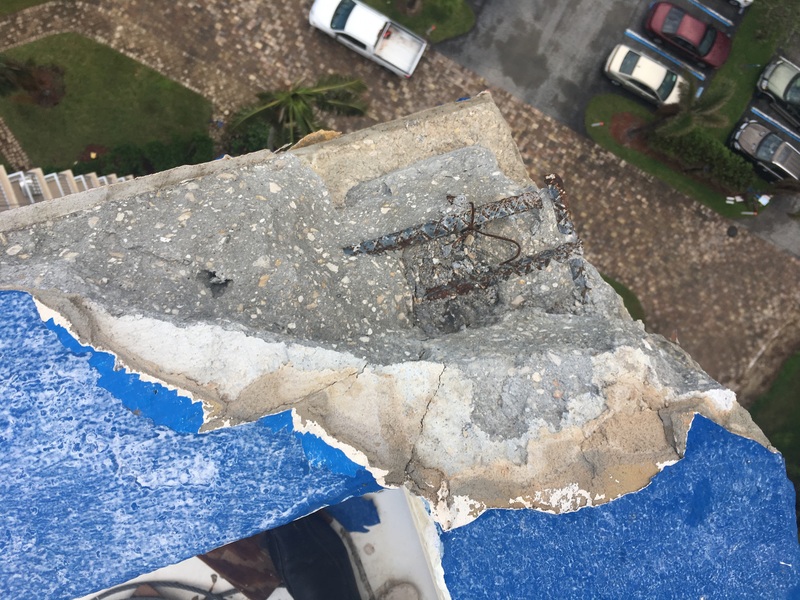 Moisture is concrete’s worst enemy, inhibiting proper curing and drying; seeping into cracks and rusting rebar; causing structural damage. When water breaches the interior of your home or office, the addition of mold damage can make your space uninhabitable. You can trust us to remediate your water damage right, the first time. Do you have hairline cracks, or stucco delamination on your building? That's a clear indication that your property is in need of immediate repair. Unfortunately, often times a dwelling may have damage that’s unseen beyond its exterior paint. We understand that improvements to your building’s exterior can be a major investment of time and money, this is especially true for restoring concrete, stucco or siding over wood frame, EIFS and light gauge metal. We are certified licensed General Contractors who are able to address any issues your condo, town-home or commercial building is experiencing. Some of our restoration specialties include, water intrusion, spalling, concrete & rebar, stucco repair, guardrail and handrail repair, roofing systems, expansion joints and more. Rest assured we’ll deliver superb quality and value to our clients every step of the way, and respect their wants, needs, time, and budget at all times. If you’ve experienced water damage, mold growth, or a fire in your home or business you know how devastating and disruptive your day to day life can be. Don’t let picking the wrong contractor be your next disaster. We’ll work with you and your insurance company to get your property back to pre-loss conditions, quickly and on budget. Whether you need roof repair, stud, drywall & paint repair, tile flooring, cabinetry or a complete gut and rebuild our expert contractors are dedicated to your satisfaction. 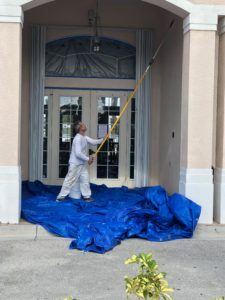 Keeping your property looking pristine is difficult, especially here in SW Florida, the sun, temperature and overall climate can be harsh on a building appearance. Pressuring washing your facilities sidewalks, curbs, parking garage, parking lot and exterior building surfaces keeps your property as clean and attractive looking as possible. 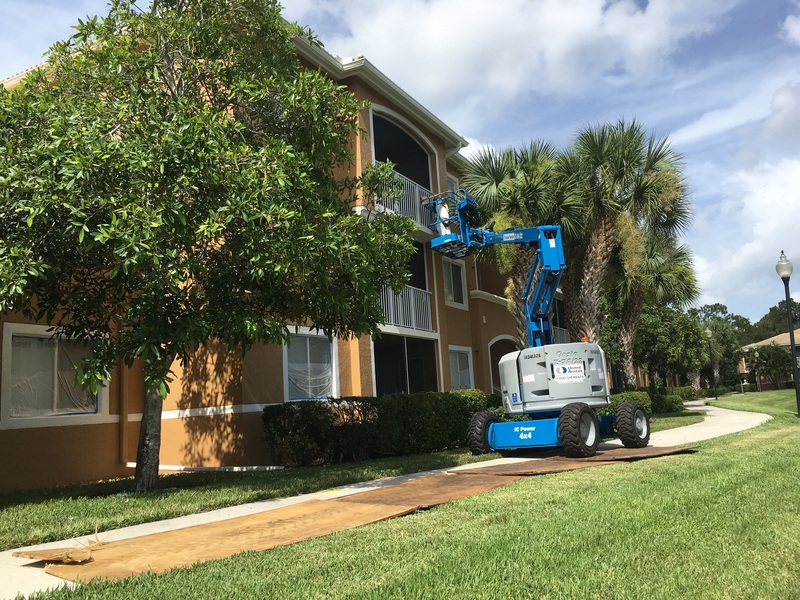 When it comes to pressure washing, McLeod’s Construction, Paint & Restoration LLC has not only the proper, commercial grade equipment, but a complete staff of highly trained pressure washing technicians. McLeod’s team is capable of removing mold and mildew, grease, surface oil deposits, rust, hardened soils, and hard stained surfaces. As a CAM or Property Manager your property management budget serves as a guide for maintaining a building’s well-being. As a CAM or Property Manager your property management budget serves as a guide for maintaining a building’s well-being. But when not controlled properly, your budget can be the source of significant financial loss. At McLeod’s Construction, we understand the complexities involved with maintaining a properties appearance, safety & overall quality. That’s why we offer no charge estimates and consultation budget bids. Whether you are planning your annual budget, preparing for needed maintenance, want a quote for property upgrades, or faced with unplanned repairs, we’re here to assist you. Our skilled estimators will meet with you and your board to discuss your needs and wants, and ultimately provide you with a honest and true bid. Interested in talking to us more about what services we offer and how we can help on your next big project? Contact us through the form below and we will be happy to assist you! Copyright © 2019. McLeod's Construction & Restoration, LLC. All rights reserved.